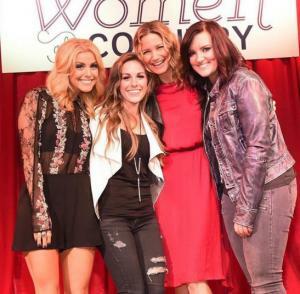 On November 3, CMT announced its 2016 Next Women of Country Tour which includes Jennifer Nettles, formerly of Sugarland, Brandy Clark, Lindsay Ell and Tara Thompson. CMT’s Next Women of Country features some of the newest ladies of country music, showcasing the rising generation of signed and unsigned female superstars. AMT is honored to be part of the 2016 tour, and will welcome Jennifer, Brandy, Lindsay, and Tara on Sunday, January 24 at 7:00 p.m. Tickets on sale now – click here to purchase. To read more about the 2016 Next Women of Country Tour, click here. Now known as well for her solo work, Jennifer Nettles rose to popularity in country music as the lead vocalist of Sugarland. Though nominated for Grammy’s in years before, Sugarland won their first Grammy in 2008 when they took home two for Best Country Song and for Best Country Performance by a Duo or Group. Since then, Sugarland won many notable music awards before taking a five-year hiatus for solo projects in 2012 (they are due to officially reunite in 2017). Lindsay Ell is known for her country mix that includes rock, blues, and pop influences. Her first official single was “Trippin’ on Us” and it was released in December of 2013. Upon release, it became the most added song for country music radio in both the United States and in her native Canada. In 2014, Lindsay Ell debuted at the Grand Ole Opry. She is currently touring and working on her first full-length country album. This Tennesse native adds her own personal touch to the storytelling common in country music lyrics. Her debut single, “Someone to Take Your Place”, cemented her place on the “Artists to Watch in 2016” list.